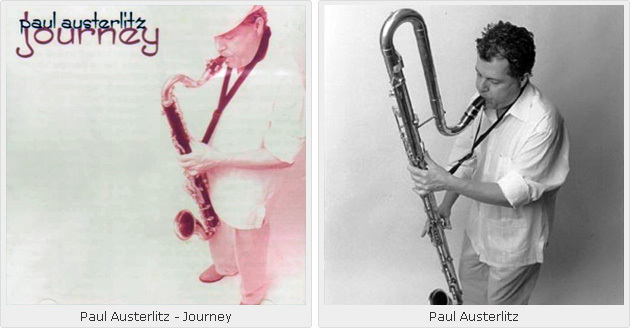 There is very little precedence for Journey, a work of striking newness and dazzling virtuosity, by the reeds player, Paul Austerlitz. First of all it occupies a rather narrow stream in Afro-Caribbean music—Dominican music of African origin—and secondly it is largely played on reeds of the very lowest register—only the great Anthony Braxton ventures there. It combines Yoruba chants with African and jazz musical idioms; contemporary poetry and entrancing musical expeditions that few have been inspired into producing. This is an ambitious work of complex, symphonic proportions even though it features few instruments: reeds, percussion, piano, the bass violin and—this is what sets it apart—the human voice. To a large extent this is Austerlitz’s exegesis of the exodus of the African Diaspora as it melded into the Caribbean nation the Dominican Republic on an island, significantly, shared by that other maverick nation, Haiti. Of no less significance is the fact that like the avant garde musicians of the 60’s and the new movement occupied in solitary splendour by Anthony Braxton, the music flows like a flood tide as it finds a powerful confluence in the music of Charlie Parker and the bebop musicians. Moreover, Austerlitz succeeds in melting away the barriers that constrict musical literature by so-called genre. This truly exciting musical journey begins and ends in the African realm as it subsumes the “New World” that even Europe cow-towed to during and for centuries after The Age of Enlightenment. Perhaps Africa is the “New World” after all and the new Age of Enlightenment has dawned there. Austerlitz’s journey begins with a powerful invocation to the Orisha, Elegba—or as he calls her, Elegb&#225ra. The music of “Bara S&#250w&#224 Yo” is united in spectacular fashion with the contemporary spoken word—Logos in majestic ascent with ancient chants rendered as rhythmic figures fused into a spectacular whole by Austerlitz’s bass clarinet. “Underground Palo” in the second sequence of the musical score is the new Spiritual, a fascinating chart whose escarpment overlooks John Coltrane’s “Song of The Underground Railroad” and features a might chant that plays off the other instruments, especially the hypnotic ritual Afro-Dominican “palos” drumming. Freedom from slavery is gloriously suggested here as the music merges into a spectacular improvisation on one of Austerlitz’s reeds. “Journey” is a fascinating addition to the symphony and is written in multiple meters as the music criss-crosses its way—like the exodus of the African Diaspora—through India, where the drone of the sitar blends with the talking drums of Kwaku Kwaakye Obeng. Nineteenth Century impressionistic modes collide with amorphous Indian ragas and African polyrhythm. The clarinet colors the musical canvas in several overdubbed incarnations. The resultant music is quite simply spectacular. In the subsequent sequence Austerlitz’s music traverses another hundred years. The significance of the jazz idiom cannot be over emphasized enough as the composer and performers zigzag their way through the last significant movement in its history—bebop. Austerlitz’s reworking of Charlie Parker’s “Ornithology” gives new importance to Bird’s masterpiece. In the fourth section of this symphonic work, Austerlitz finds himself confronted by the staggering beauty of the geography of his new universe. The harmonics of “Mountains” is as striking as the vertical prospect of the topographical vistas and the linear arpeggios also suggest the extent of the musical canvas. Here, too, Austerlitz recomposes over a classic modern chart: His “East Broadway Merengue” is a startling revisit to the musical environs of Sonny Rollins’ classic “East Broadway Rundown,” which is superbly recast here. The setting is so apt for Michael S. Harper’s poetry, featuring sassy swaggering rhythms in three sections that bring the journey close to the formidable close that returns the music to an African canvas in a coda that features solo work on reeds by Austerlitz. The musicians are masterful throughout. Led by Austerlitz, who soars like a great bird with a reed and a thermal only to swoop and tumble at every turn with graceful abandon. His solo improvisations are brimful with fresh ideas. His intonation is masterly and his phrasing gentle and evocative. Austerlitz is the consummate technician, but whose virtuoso skills are put to perfect use with emotional readings of his work and in some cases the compositions of others. His ensemble is also blessed with great talent—Santi DeBriano, Barry Olsen the percussionists, especially Phoenix Rivera, are just a few of those who perform with great skill and emotion too. This is a work of great mastery and importance. It is only a matter of time before it receives its just desserts. Tracks: Chapter One: In-Vocation: Bara S&#250w&#224 Yo; Chapter Two: Palo and Beyond: Underground Palo; One Peace; Journey; Thunder Flow; Chapter Three: Merengue and Bebop: Ornithology; Sisterhood is Powerful; Santiago; Chapter Four: Poetry and Song: Mountain’s Music; A Place Inside; East Broadway Merengue (Featuring “The Latin American Poem”); Two Poems (Featuring “Br’er Sterling and the Rocker” and “Twiddlin’ Thumbs”); World Consciousness-Arena (Featuring “Corrected Review”); Chapter Four: Out-Vocation: Bara S&#250w&#224 Yo (Reprise). Personnel: Paul Austerlitz: contrabass clarinet, bass clarinet, clarinet, tenor saxophone, voice; Barry Olsen: piano ( 1 – 3, 7, 10, 13); Gustavo Rodriguez: keyboards (6, 9, 11); Angelina Tallaj: piano (8); Santi DeBriano: acoustic bass (1, 3, 12, 13); Bernie Mi&#241oso: acoustic bass (2, 5, 7, 10); Dave Zinno: acoustic bass (4); Juan Vald&#233z: electric bass (6, 9, 11); Phoenix Rivera: drum set (2, 5, 7, 10); Royal Hartigan: drum set (1, 3, 12, 13); Wellington Valenzuela: drum set (6, 9, 11); Kwaku Kwaakye Obeng: donno, cowbell (1, 3, 4, 13); Jos&#233 Duluc: palos, balsi&#233, g&#252ira, voice (2, 5, 7, 10); Julio Figueroa: tambora, conga, bong& #243, g&#252ira (6 – 8, 10, 11, 13); Michael S. Harper: poet (11 – 13); Regie Gibson: spoken word (1); Renee Cologne: voice (9, 10).